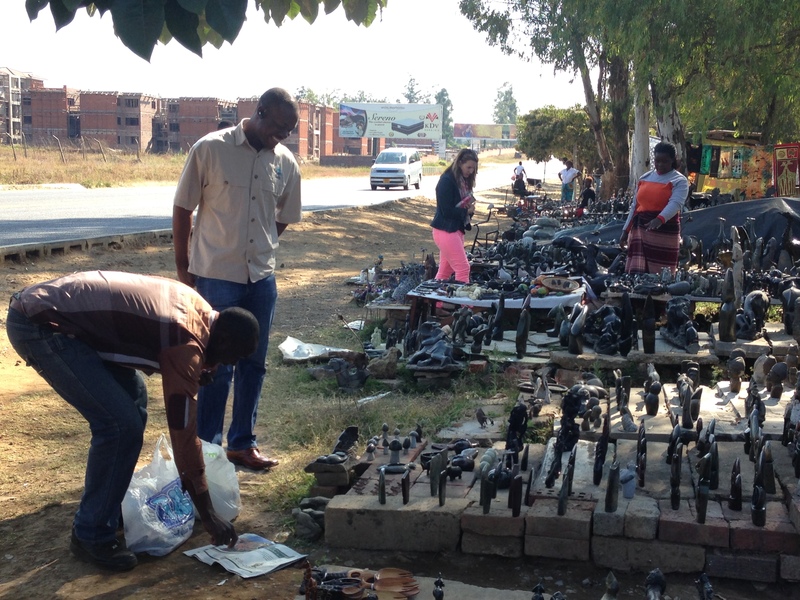 On Sunday morning on the way to the airport in Harare, the driver of our shuttle kindly stopped at the stone market so that we could get some goodies to take home as gifts for everyone. 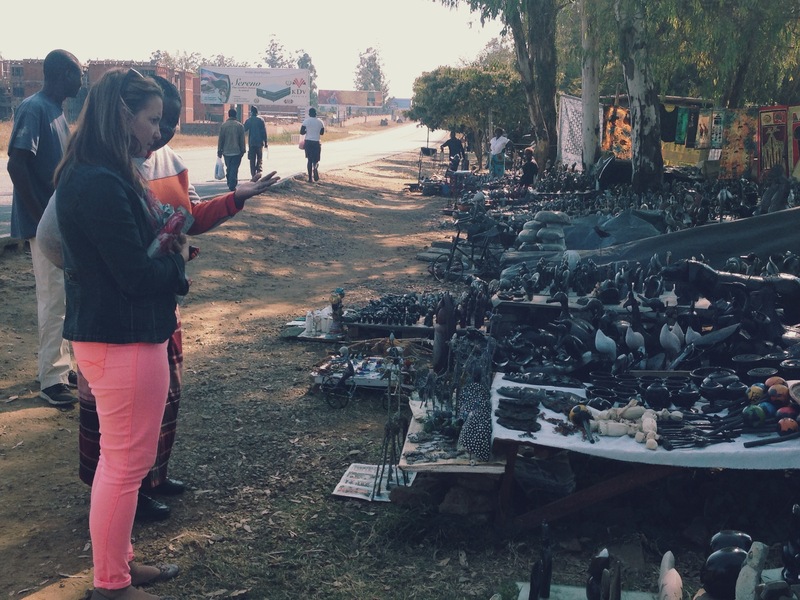 I last went there 2 years ago on one of my first trips to Zimbabwe for weddings… but Lerika had never been there. This may have been her last visit to Zimbabwe, so we just had to stop to get her kids a few things. These guys are so very clever, and I love the kinds of things they carve from the hard stone. The Casa Kadiki driver looks very amused by our little spending spree! He’s the guy smiling at the stone carver wrapping my new statues. 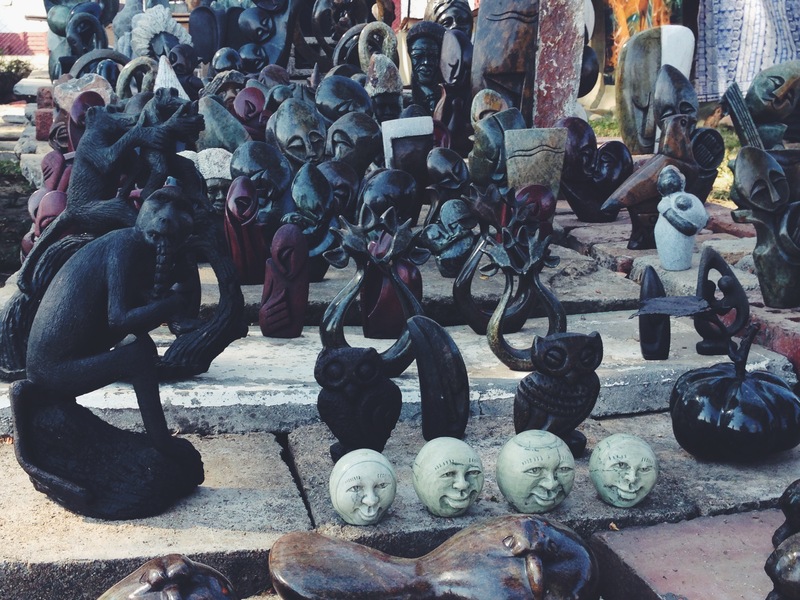 Each line of statues is a another store. And actually, look at the background… I get asked about whether Harare is getting better and what it’s like there, everytime I get back home. In this photo you can clearly see that there’s building and development going on. I just wish they’d fix the roads! If you think ours are bad, they’ve got nothing on the potholes in Harare! 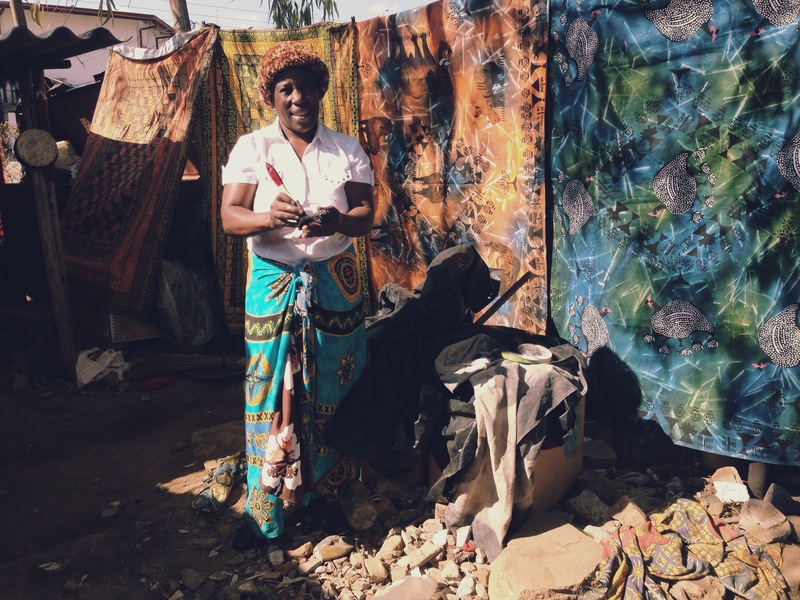 I bought the lions from this lady, and after she got her dollars from me, she went to polish them and wrap them in paper for the trip home. If I had looked properly first, I probably would’ve bought a table cloth instead of a statue! She had a gorgeous blue and white one! 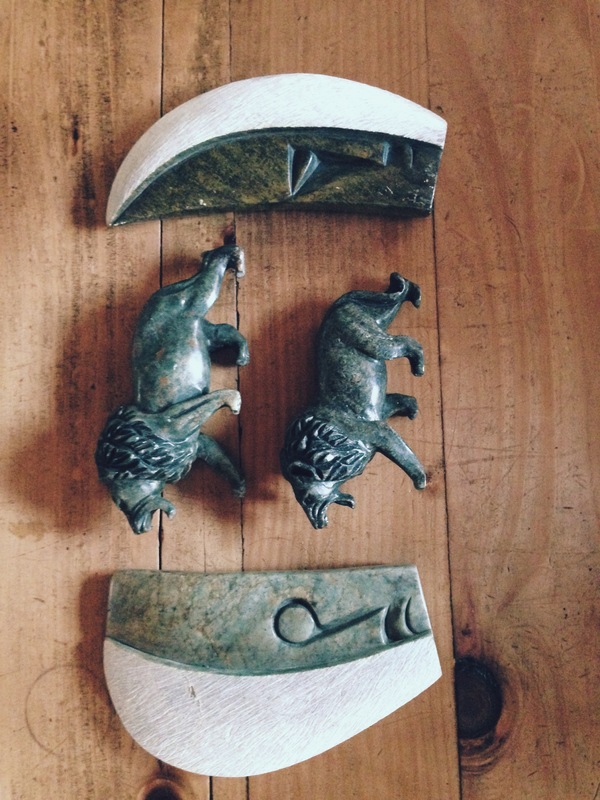 In the end, the boys each got a stone lion, and I bought 2 statues for one of my tables. The sculptures are amazing! I like the curly giraffes. I’m surprised you didn’t get an owl. And oooh I love the table cloth! !